This white paper explores five ways to increase energy efficiency in new and existing mixing processes. 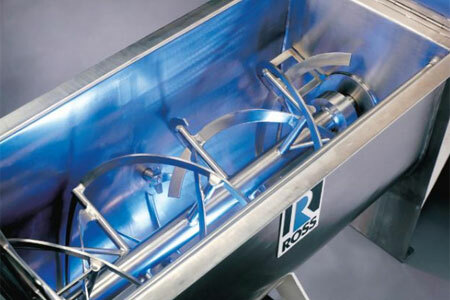 The ideas discussed in this paper are recommendations based on Ross’ collective experience as a provider of specialty mixing equipment to the process industries for over 170 years. Mixer testing and simulation trials are recommended to confirm the suitability of a specific mixing strategy. A well-specified mixing system is essential to fulfilling overall energy efficiency in a production facility. Ideally, mixing equipment and procedures are evaluated periodically or at least as often as production needs change and when new products or raw materials are introduced. Yet, perhaps because it is perceived as a simple operation constituting only a minor percentage of total manufacturing costs, mixing is seldom upgraded until it becomes a source of drastic losses due to low yield, recurring contamination or inconsistent product quality. The five points outlined in this white paper can help manufacturers resolve or avoid these inefficiencies while decreasing energy consumption.